Chances are you have a client who is affected by headaches. According to the World Health Organization, headache disorders affect more than half of the world’s population. Research has shown that massage therapy can effectively help treat headaches, including two of the most common types, migraines and tension type headaches. 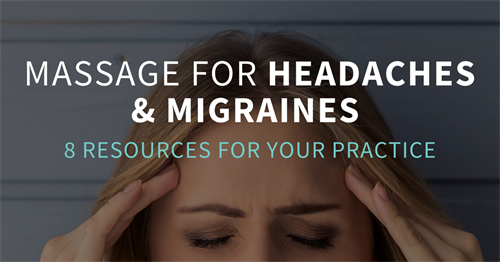 We have resources so you can learn to better help your massage therapy clients who suffer from these common headache disorders. These continuing education courses are offered during the AMTA 2018 National Convention, taking place this August in Washington, DC. You can register for single-day education, or the full convention, and earn 18+ CE credits. Stress is a common cause of tension type headaches.